Keeping an eye on the system logs of your pfSense firewall is important to ensure it remains running smoothly. You can easily view the logs using the web interface but my preferred method of monitoring the logs is via remote syslog. Syslog is a standard logging protocol that allows log messages to be transmitted over the network to a remote destination in real time. 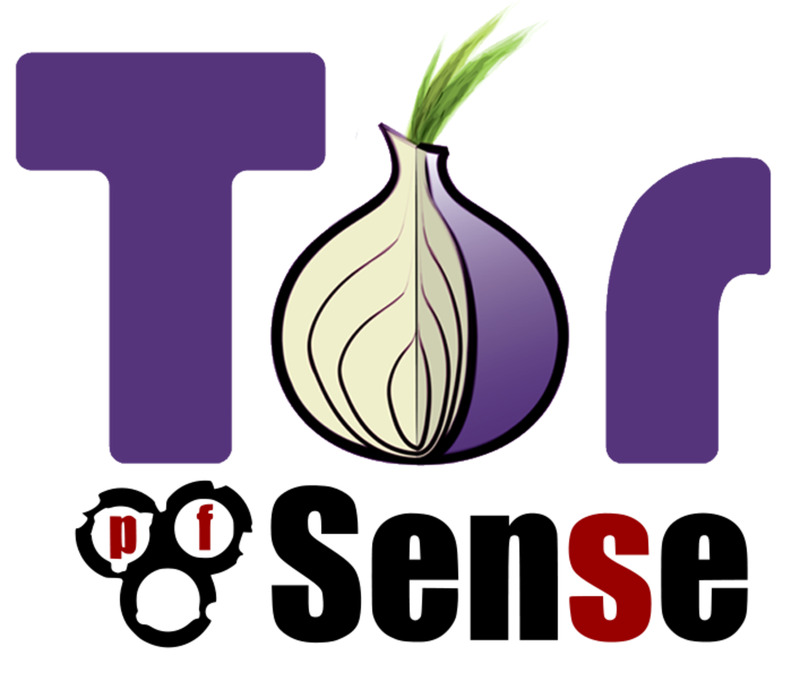 This allows you to monitor a pfSense system from any location making it much easier to spot potential problems before they occur. Remote log viewing is also very handy if you are troubleshooting a problem with a firewall rule. One of the things I like best about monitoring pfSense with syslog is that I can monitor multiple pfSense routers from a single console. In this hub I'm going to show you how to configure pfSense to send logs remotely to a Kiwi syslog server. 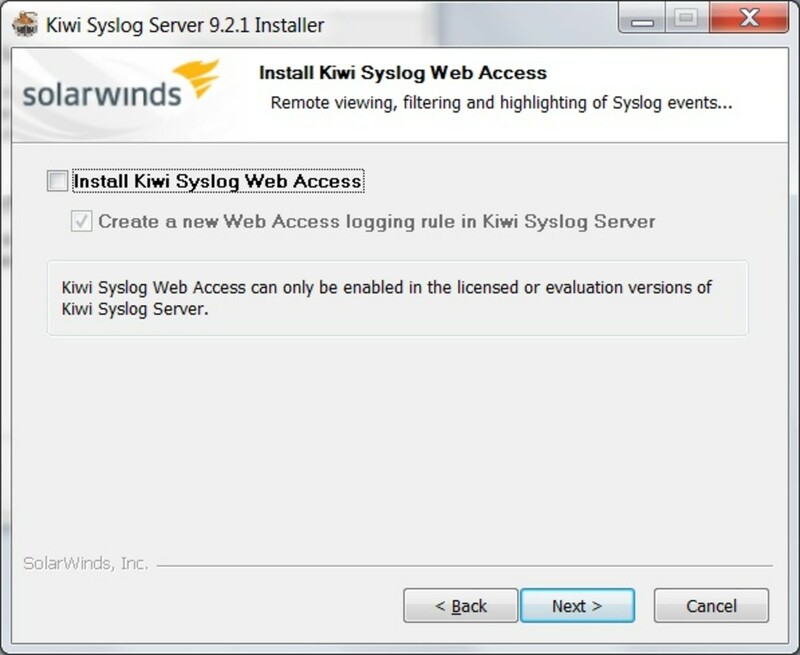 What is Kiwi Syslog Server? 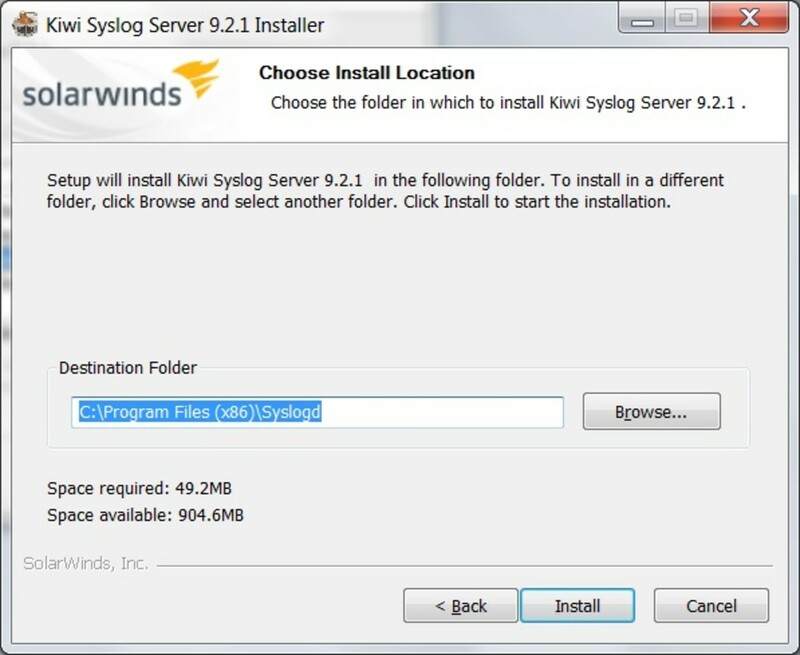 Kiwi syslog server is a software package created by SolarWinds which receives and processes syslog messages sent from devices over the network. 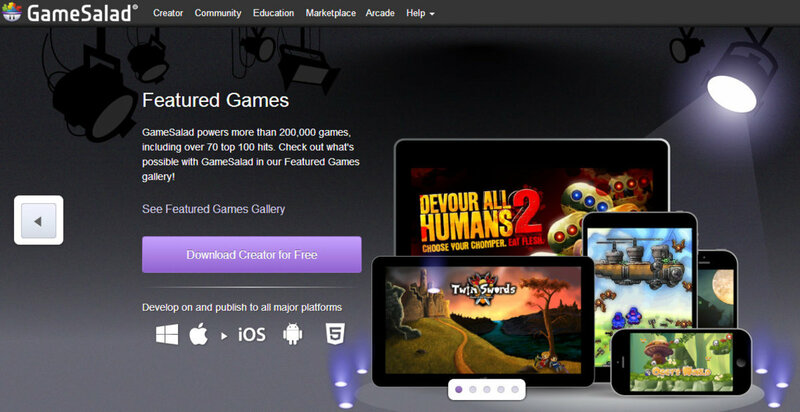 Kiwi is available in a free and licensed version. The free version never expires and can be used indefinitely but it doesn't have as many features as the paid version does. I like Kiwi because it is very easy to set up and it has quite a bit of features for a free program. 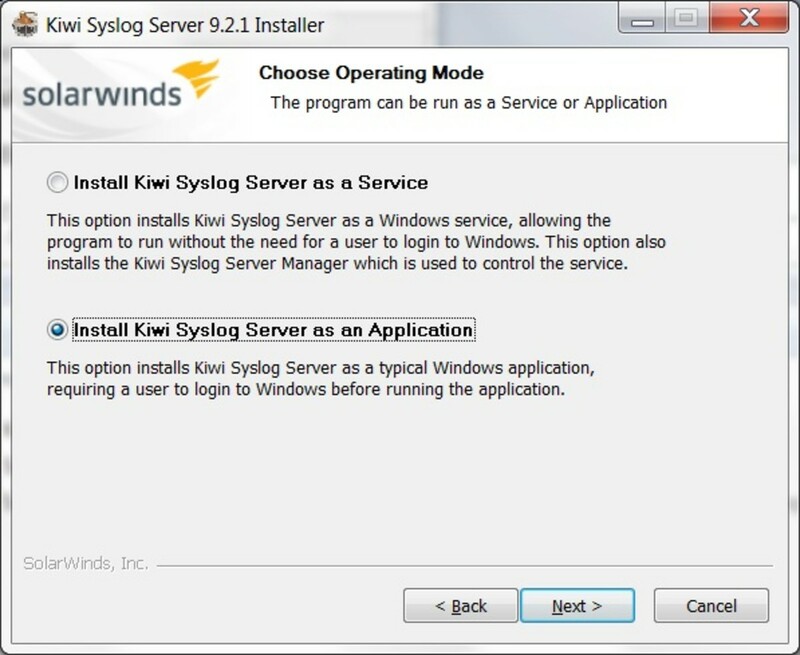 Kiwi only runs on Windows machines but there are many syslog servers available for Linux too. 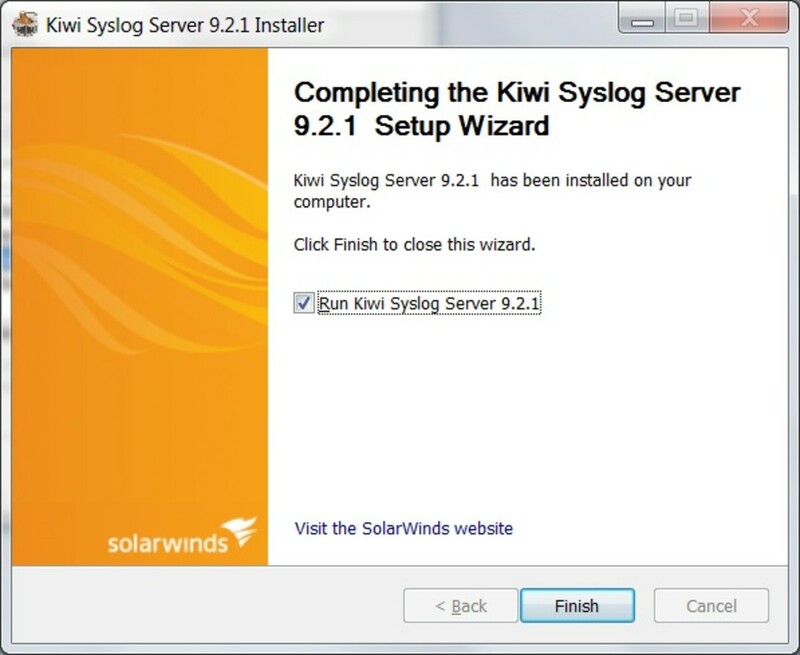 To get started with Kiwi you will need to download the installation package from the SolarWinds site. After the download is finished run the installer inside the zip file. 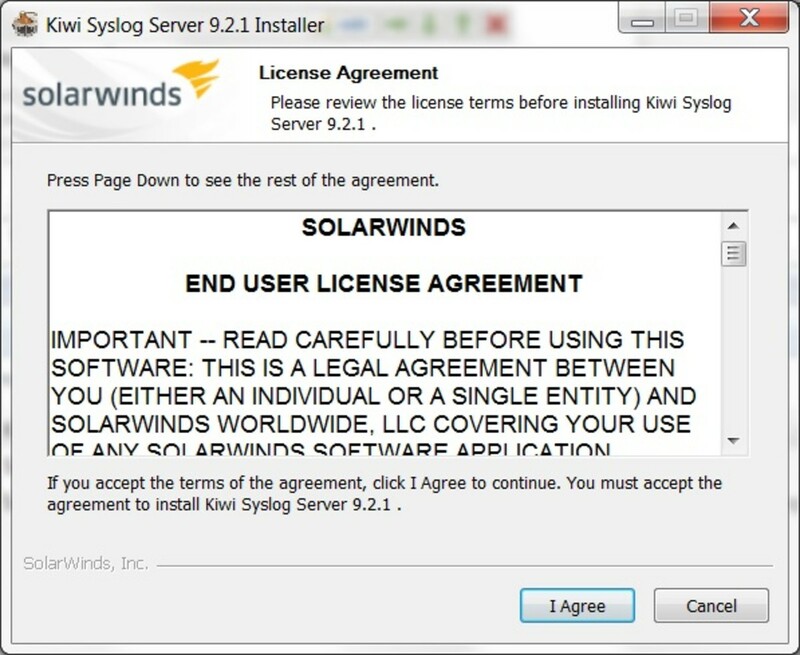 License agreement - First you will need to accept the license agreement to start the installation process. Installation mode - If you plan to run Kiwi as an always on server install it as a service. Otherwise choose the second option and install it as an application. 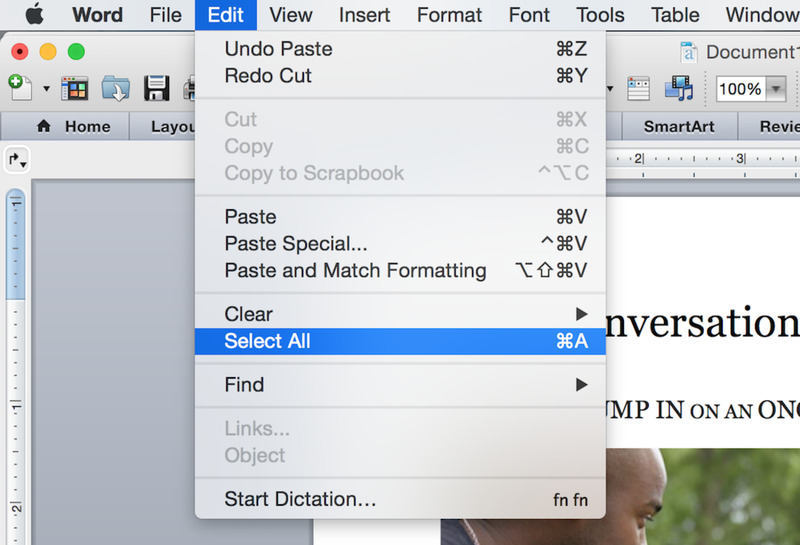 Web access - The free version doesn't include web access so you can deselect this option. Components - Choose the program shortcuts you would like the installer to create. Install Location - The default location is usually a good choice. The syslog files can't grow in size overtime but typically are not very large. Accept the license agreement to continue. Select to install Kiwi as a service or as a stand alone application. The free version doesn't include web access but the paid version does. Select the shortcuts you want the installer to create. 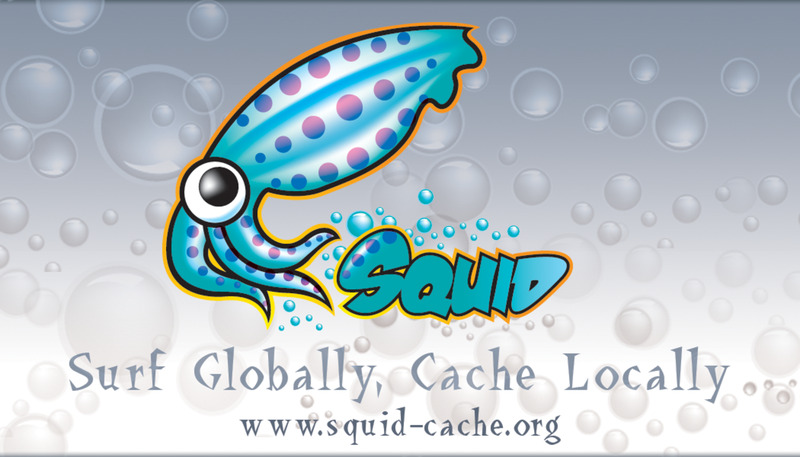 Choose a location to install Kiwi on your hard drive. 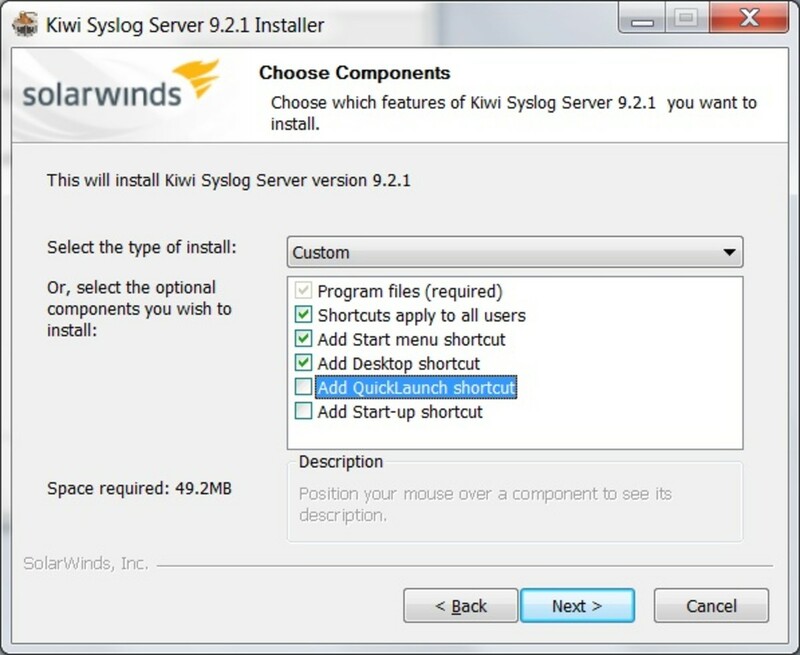 After the installer is done you can run the Kiwi syslog server console. 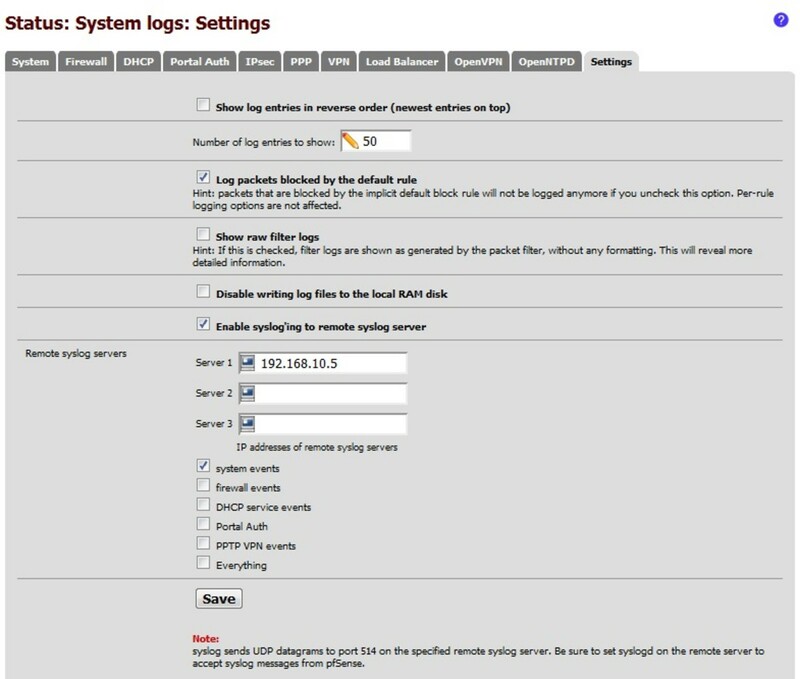 To configure pfSense to send syslog message click on the system logs item in the status menu, then click on the settings tab. Enable syslog - Check the box labeled "Enable syslog'ing" to turn on syslog. Select log events - For basic monitor I recommend selecting system events, if you want to troubleshoot a specific issue you can enable other events as well. After you have configured the settings click the save button. 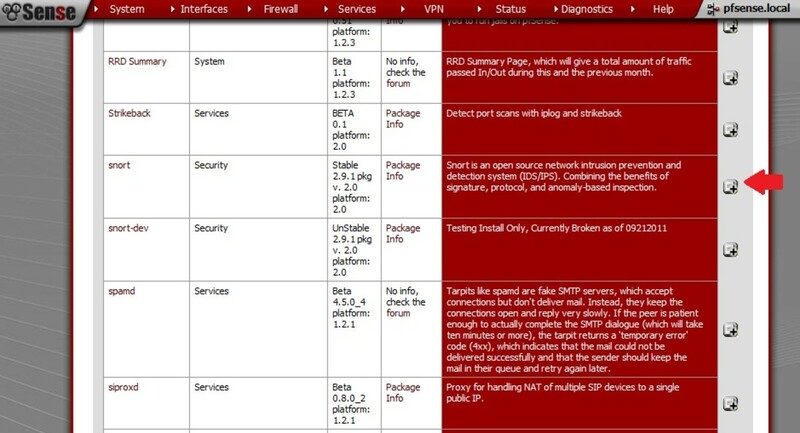 Once the settings have been saved pfSense will begin sending syslog messages to the IP addresses you entered. Once you open the Kiwi you should begin seeing syslog messages from pfSense. All syslog messages contain a time stamp and a severity. The log messages are time stamped when they leave the host they were created on. The severity field can be used to create further alerting events or apply different levels of highlighting to the messages. If you want to adjust the settings in Kiwi click on the File\Setup menu item. I like to turn on DNS resolution so Kiwi will display the host name of the system that generated the event instead of the IP address. 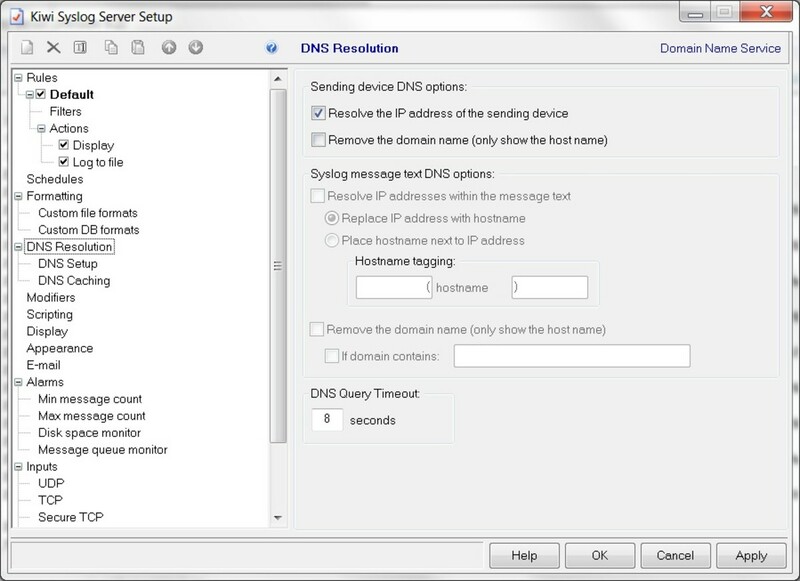 To do this click on DNS resolution on the left hand side, then enable the check box labeled "resolve IP". Below are the most common problems that prevent syslog messages from appearing in the Kiwi console. If you are not seeing any messages in the console double check that you entered the correct IP address in the pfSense log settings. Since syslog messages are sent via UDP pfSense has no way to tell if the messages were received by the destination. If you still don't see anything try setting the logging event level to "Everything", if the pfSense box is passing traffic you should see several syslog messages from the firewall. By default the Windows firewall will block syslog messages. To prevent this you can either disable the firewall or create a rule to allow UDP traffic on port 514.